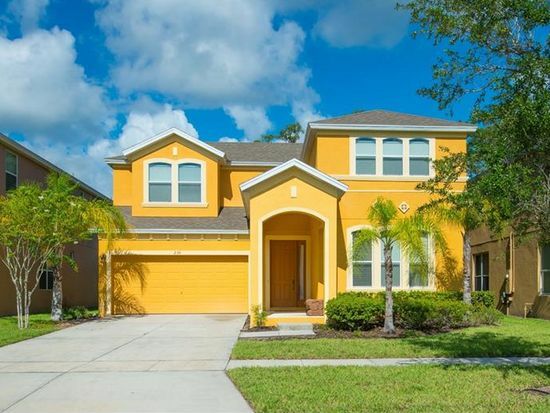 This is a villa with a private pool located in the heart of Kissimmee. The air-conditioned unit is 0.8 miles from 192 WalMart. Free WiFi is provided throughout the property. There is a dining area and a kitchen complete with a dishwasher, an oven and microwave. A flat-screen TV with cable channels, Blu-ray player and DVD player are available. Kissimmee Value Outlet Shops is 1.1 miles from this villa, while Plaza del Sol Kissimmee is 1.4 miles away. Free private parking is available on site. Orlando International Airport is 13 miles from the property. When you've exhausted yourselves at the parks - take a day to relax by your private, crystal clear pool and spa, with a shaded lanai and sun-drenched deck to really relax. In the evenings, have fun with the family in the game room. Or take some time to explore the clubhouse and amenities at the fabulous Bella Vida Resort - the perfect location for a vacation to Orlando where you can meet new friends, exercise in the fitness center, watch a movie at the theater or enjoy the game room. This resort community is located behind the famous Medieval Times Dinner Show attraction and next to the Super Walmart on 192 in Kissimmee. Minutes from all the amusement parks, Plaza del Sol, Lake Buena Vista, Premium Outlets, and the Orlando International Airport. Surrounded by a vast conservation area, it has all the amenities you would need during your vacation. A large community pool and cabana, fitness center, playgrounds, walking trails, secured gate, and much more. This well furnished house sleeps up to 10 people. It has 4 bed and 4 bath, TVs in all rooms, a private pool; high speed internet; a flat-screen TV with cable channels, Blu-ray player and DVD player are available, a dining area, fully equipped kitchen with dishwasher, oven and microwave. It provides all he necessary comfort for you and your family! This clean, well maintained and beautifully decorated house is finished to a high standard and has everything you need, just bring your swimsuit and sun tan lotion and enjoy!!! You are just minutes from all the parks, and close to the best malls and restaurants. There is no better area in Orlando. Be golf courses, shopping malls and outlets, budget restaurants and fine dining, theme parks.